Be still our churning stomachs – Game of Thrones is back after its dramatic world premiere at the Tower of London last night. MC sat a few seats down from Natalie Dormer and Sophie Turner for the most hotly-anticipated screening of the year and we weren’t disappointed. 1. 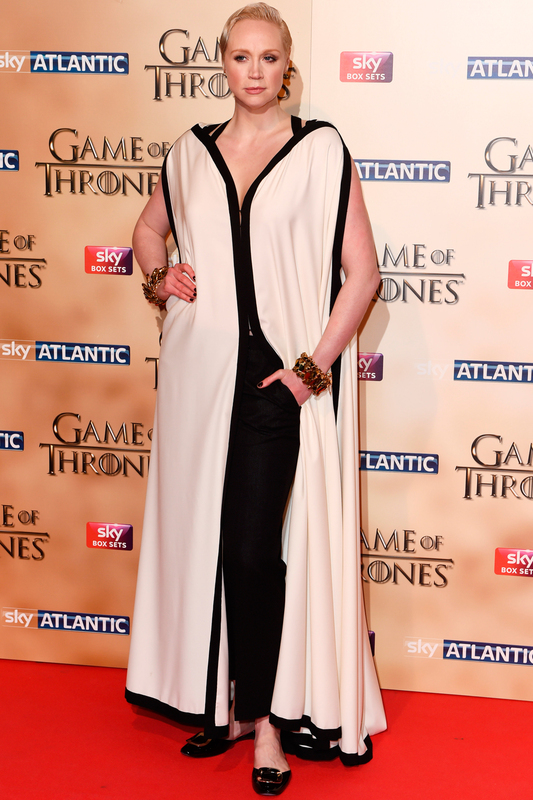 Gwendoline Christie is awesome. The actors’ vow of secrecy made for a quiet red carpet, but Gwendoline sparkled with her Winkleman-esque quirky answers. Her thoughts on her character, Brienne of Tarth? ‘She’s all honour, like a delicious, strong honour cheese. One that would pong. But I don’t think of her as a cheese when I play her.’ Oh and she thinks Brienne would dislike Gogglebox. 7 things we can expect from Games of Thrones season 5. 2. The Tower of London scrubs up nicely. The former torture chamber was the perfect venue for the premiere of telly’s most violent drama. The raging pires, red carpet-lined moat and flying dragons projected onto the ancient walls were a nice touch. And everyone escaped with their heads intact. 3. The Iron Throne is surprisingly comfy. It would have been rude not to test out the throne, especially as they went to the trouble of airlifting it into the tower. And it was pretty empowering. All it needs is the right cushion. 4. 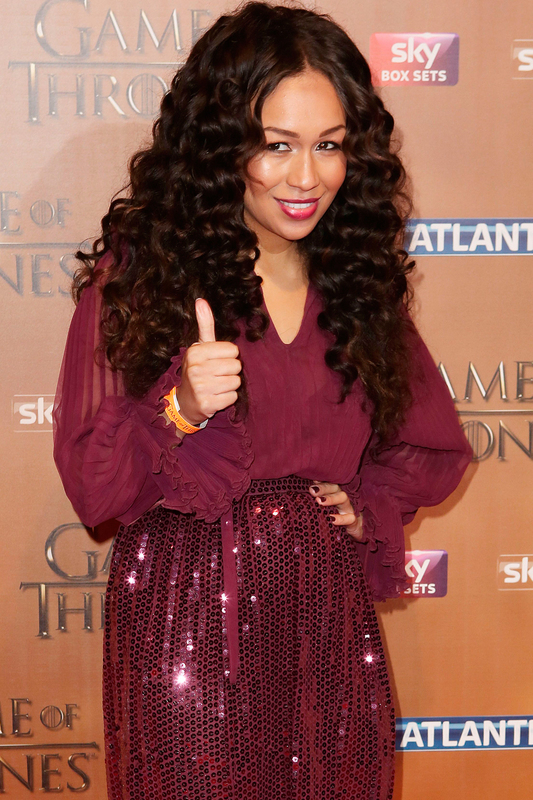 Rebecca Ferguson is taking style tips from Daenerys. ‘I’m not sure about the fashion but I absolutely love the Queen’s white hair!’ said special guest, Rebecca. Daernerys has some tough times ahead (those dragons are out of control) but at least her hair looks good. 5. It’s all about LBDs with a sheer twist. The Thrones ladies were slavishly faithful to monochrome last night, but they livened up their looks with flashes of sheer fabric. Sophie Turner, who plays Sansa Stark, led the way in a chic, backless gown, while Natalie Dormer turned heads with a plunging neckline. 6. Thrones stars eat well. Champagne, seabass, suckling pig, salted cod and baked Alaska were all on the menu, as the likes of Kit Harington and Nathalie Emmanuel mingled during the afterparty. Of course when we say ‘mingled’, we mean ‘stayed in the VIP area while TV magician Dynamo performed some tricks’. 7. Jewelled beanies are here to stay. Tara Fitzgerald’s headgear was the talk of the screening (we turned a blind eye to the sequinned tassel belt that went with it). Glitz + comfort + ability to hide a bad hair day = genius. 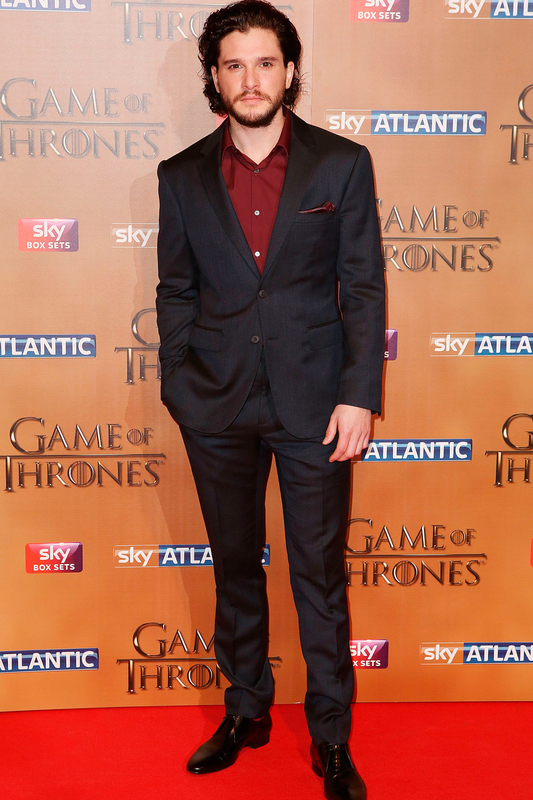 Game of Thrones series 5 begins on Sky Atlantic on 13 April at 9pm.